Club History: On to the National Leagues (1991 - 2014). In 1991 the club took a momentous decision (much to the amusement of its local rivals) to employ a full time coach (to be renamed the Director of Rugby) whilst in the Berks, Dorset and Wilts leagues, and appointed former England and Wasps prop Paul 'The Judge' Rendall. The tenure of Paul Rendall, probably had the greatest impact at the Club (in playing terms in any event) in its history. This appointment seemed to have an immediate effect as in the 1991-92 season the club went all the way to the semi final of the National Junior Cup, losing to Bradford Salem at the then Nottingham RFC’s ground, Beeston, just missing out on a final at Twickenham. In 1992/3 the club, under the captaincy of Peter Mably, gained promotion to Southern Counties. The 1993/94 season saw the clubs Colts team win the Colts County Cup. In the team that day was Alan Leishman and Greg Anstead who would each go on to be club captain and club coach. The season 1995/96 started with the clubs second tour to Africa when they toured Zimbabwe, remaining unbeaten on tour. Later that season with the club already having gained promotion from Southern Counties, the club secured its first Berkshire Cup defeating Maidenhead 22-21 at Lily Hill. Martin Radford kicking 6 from 6 on the day, and a try from ex-Wasps and England centre Rob Lozowski securing the victory. The years 1997-1999, under captains Martin Radford and Glen Mosses, saw a steadily climb into National Division Three (South). The club gaining promotion from National Division Three (South) to National League Two in the 1998/99 season and in doing so set a club record (and at the time an English league record) of 53 home consecutive league wins!! This period also saw the clubs Ladies team formed by Jo Parker, Fiona Lawes and Margaret Wolfenden in January 1999. After a season of 'fun' friendly games, January 2000 saw the Ladies play their first full game and to go on and take part in their first competitive season in the Merit League in 2001. The 2000/01 season saw the Club, under the leadership of Simon Shaw, win National League Two. 160 points (Tries 5, Cons 30, Pens 19, DGs 1) from, the clubs top points scorer for the season, Mike Kenworthy, along with Ben Nowak's 128 points (Tries 8, Cons 20, Pens 15, DG 1) and back-rower Graham Sparks 14 tries aiding Bracknell's promotion to National League One. With promotion to National League One the Club improved the spectator facilities with the erection of a stand and the construction of a path around the pitch. The club was also honoured with a Civic Reception given by Bracknell Forest Borough Council together with an inscribed memento presented by the Borough Mayor, to mark the Club's achievement of promotion to League One. Playing in National One in the 2001/02 season, few will forget beating Coventry at Lily Hill, a game that saw Greg Anstead's fabled tackle on ex-All Black Zinzan Brook! 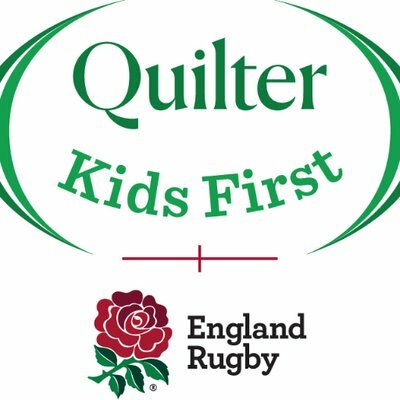 Playing other such distinguished clubs as Moseley, Exeter, Rugby, Bedford, Rotherham, Worcester, Otley and London Welsh to name but a few. The season also saw Bracknell wing Dominic Chapman play for an English National Divisions XV against South Africa. Sadly the clubs dream of playing rugby in National One did not last long. The Club had grown up too fast and was not ready for the rigours that awaited it. With relegation to National Two the club underwent a year of consolidation within National Two but the club still had ambitions to move upwards and with the appointment of new full time Director of Rugby this looked possible. However the elusive dream was not in the making and another frustrating and disappointing period resulted in a tough fight to the last game of the season to stay in the league, but the club was relegated to National 3 South. The 2005/06 season saw the Club back in National 3 South. The good that this brought was the realisation that the Club had gone back to its roots and appointed local coaches Jamie Turner and Greg Anstead for a locally sought team. To start the season required recruitment of nearly a whole new team, and the coaches rose to the challenge. However, despite their efforts the new team didn't manage to win as many matches as required to maintain status at this level. The club started the 2006/07 Season in South West 1 and after losing 6 of its opening match's the decision was made to appoint Chris Sheasby, (ex England, London Irish and Harlequins) as player coach. Sheasby's appointment lead to the club retaining its league position by winning 8 out of 10 matches in the second half of the season. The season saw the club also pick up the Berkshire Cup beating Maidenhead 51-14 at Lily Hill Park. 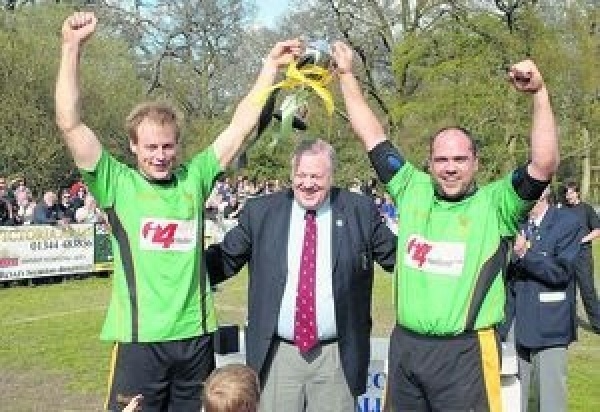 The 7's team retained the Berkshire Barrel for the 6th consecutive year. The club's 3XV team brought a league title to the club by winning the BBO Division 1 South League and the newly established Academy side swept all before them, finally ending the season as Champions of Berkshire at U19 level. The 2007/8 season promised much and Bracknell led the South West Div 1 league for much of the season but were eventually seen off by Chinnor the champions and also by Worthing (18-5) in the promotion play off. Further disappointment was defeat (12-16) in the semi final of the National Intermediate Cup at Lily Hill to Birkenhead Park, when the dream of a Twickenham final beckoned...again! Tries from center Ollie Jones and Chris Sheasby not being enough to secure the win. 2008/09 season saw yet more disappointment in the play-offs. Finishing runners-up in the league to Clifton, the club lost in the promotion play off to Barnes, 39-18. The club did experience some success this season, with the club winning the Berkshire Cup, defeating Redingensians at their Old Bath Road Ground, 22-41. Tries from winger Kevin Mackenzie (2), scrum half Luke Carter and front row duo Gareth Staples and Jonny Mirza sealing the win. A move to London Division. The 2009/10 season saw a move to the London division with the club playing in National League 3 (London Division) for the first time and going on to finish in third spot behind Jersey and Old Albanians. The club retained the Berkshire Cup defeating Broadmoor Staff 77-13 in the final. It also saw Greg Anstead hang up his boots after 17 years at the club! The 2010/11 season saw Bracknell finish in fifth in place in National League 3 (London Division) but the following season (2011/12) the club was regulated from this league. The 2011/12 season was not all doom and gloom for the club as the Ladies XV were promoted to SE South 1 and the Juniors topped the Juniors Berkshire county league. Back to the South West Division. With relegation the season before, the club had moved back to the South West division and started the 2012/13 season in South West League Division One (East). The club had also appointed Rory Greenslade-Jones as club coach. This was clearly an inspired appointment by the club as the 1XV went on to win the South West League Division One (East) and gain promotion at the first attempt. Matt Brambley captaining the 1XV. Other notable achievements in the season; the Bracknell II’s won their respective league and the Juniors topped the Juniors Berkshire county league for the second year running. The 2013/14 season; the 1XV finished a creditable third in place in National League 3 (SW); the club won the Berkshire Cup defeating Maidenhead under floodlights at Maidenhead's ground, Braywick Road, 41-17; Club skipper Nico Maybury captained Berkshire; the Juniors topped the Juniors Berkshire county league for the third year running; the Ladies finished runners up in their league, while the 4XV won the Thames Valley Invitation League B.
April 2014 another first for BRFC as they played host to American Football team, the Berkshire Renegades who played one of their league games vs Bristol Aztecs at Lily Hill Park - the first time that American football had been played at Lily Hill Park.